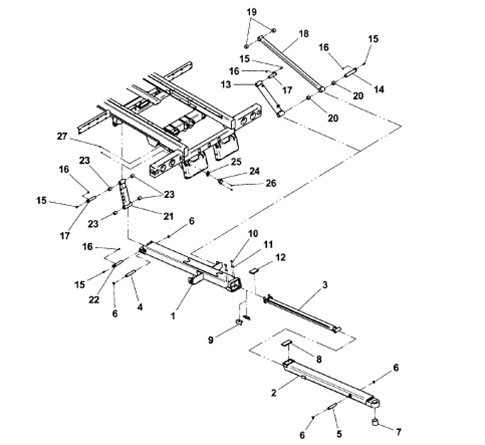 Jerr Dan Wheel Lift Angle - Part# 4017000739. Fits on the top of the wheel lift outer boom on Jerr Dan Standard Duty Carriers. Standard Duty BIC. Jerr Dan Wheel Lift Angle - For Top of Outer Tube.